Entremons. UPF Journal of World History and Institut Universitari d'Història Jaume Vicens Vives organize the workshop "Chaadayev's Lettres philosophiques'. Russia and its Place in World History" under the direction of Robert Harris, professor of Russian History at the Oxford University. 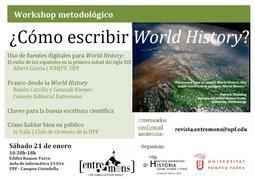 The workshop will be on January 29 at 14:30h in the lecture room 20.287 at the UPF Campus de la Ciutadella. During this workshop the participants will have the opportunity to reflect on the role of states and nations in global history, through the example of Russia, getting familiar with one of the most polemic essays in Russian social and historical thought. 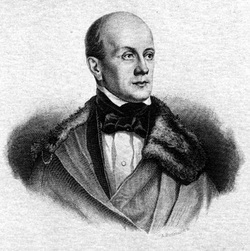 In order to take part in the workshop it will be necessary to read "The First Philosophical Letter" by Chaadayev in its French original or in Spanish . 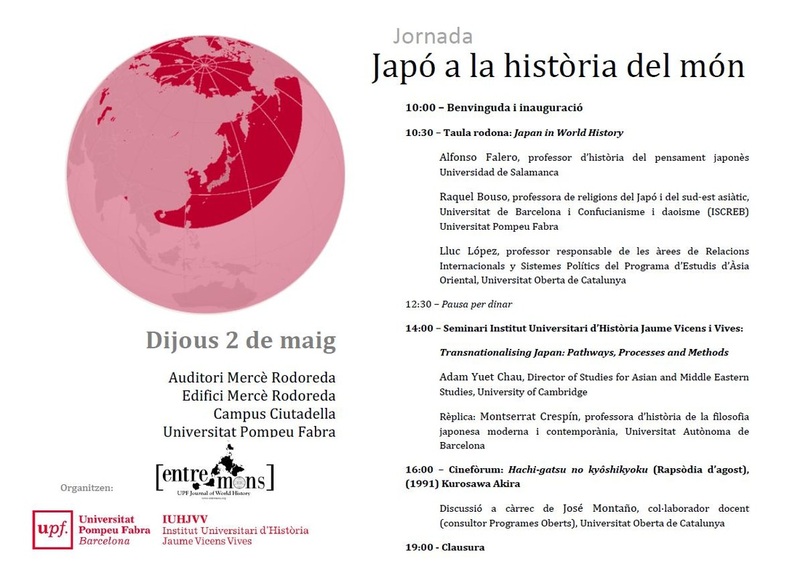 Throughout May 2 Entremons will put together a series of discussions to debate the relationship between local and global phenomena in Japanese history. This will be a interdisciplinary event open to anyone interested in the topic. Click on the image above to read the program (in catalan). 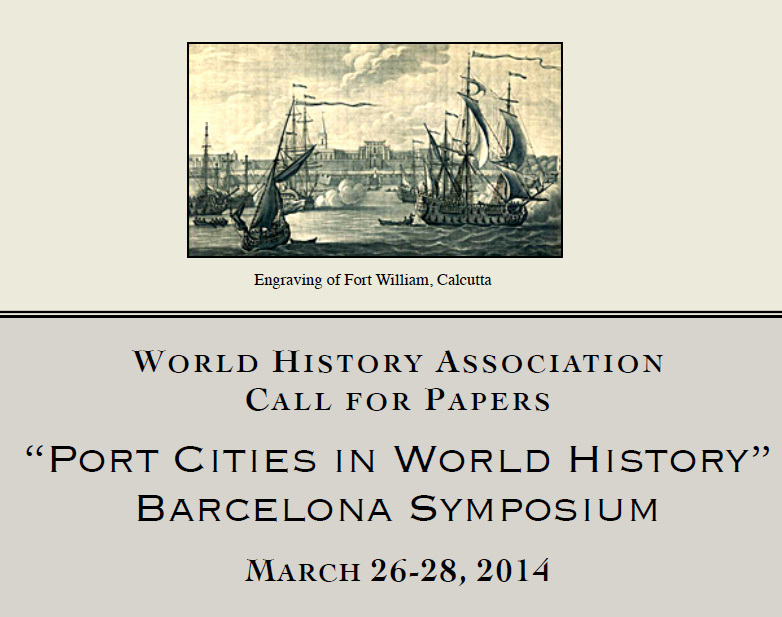 Entremons and the University Institute for History Jaume Vicens i Vives at Universitat Pompeu Fabra coorganized a symposium with the World History Association, which took place at Universitat Pompeu Fabra on March 26-28, 2014. 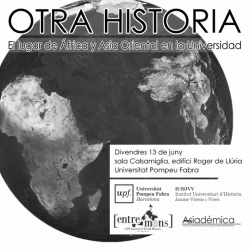 Entremons coorganizes with Asiadémica a seminar entitled "Otra Historia" aim at fostering debate on the place African and Asian studies have in academia. The seminar will take place June 13 in Calsamiglia room at the Ciutadella Campus of Universitat Pompeu Fabra starting at 10:30h. Throughout the 2011-2012 academic year, Entremons has organised a six-session cinema cicle during which films in which cities are treated as a central theme have been shown. These showing were held every month from late November until June. 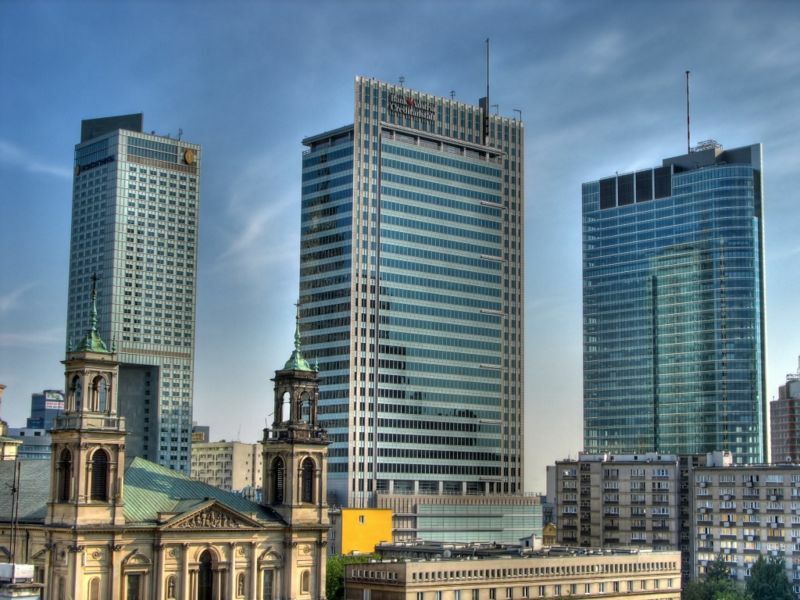 We showed six films from six different countries, in which "the city" is treated as a central theme, to the extent that it can be considered another character. 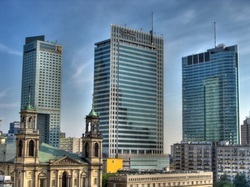 The goal was to use the city as an analysis object that shows the formation of main features of the Modern World since the end of World War II until today. Each film was a starting point for a presentation by a specialist and a debate focusing on relevant issues raised by the film. By means of a daylong event we provided attendees with the tools necessary to investigate and communicate historiographical contents whilst adhering to academic standards through the lens of the broad and enriching perspective of World History. We lectured on the basics of how to be a historian to help correct our perceived lack of propaedutical training for young historians, that prevents them from converting their knowledge about past events and processes into rigorous, engaging and well written historical prose. The workshop featured a methodology with both theoretical and practical approaches, and aimed at facilitating attendees with active learning beyond their mere presence. The first part revolved around the concept of World History with a lecture held by professor Albert Garcia. Understanding that the key concept of this discipline is the research for connection, the theoretical block centred on explaining how any given biography or geographical space can be set in a world context. In the practical section of the workshop, participants were required to develop an outline and a brief bibliography for a hypothetical World History analysis of Francisco Franco. This task was done in groups, each one of which centred on a specific aspect of this complex subject. Specific tasks could be, for example, caudillismo or neo-Catholicism. Finally, a third block was devoted to present some ideas about how to write and speak in public about history more successfully. 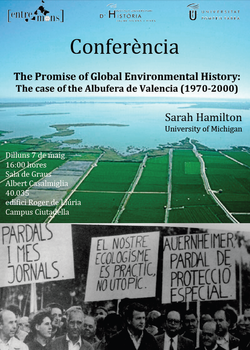 On May 7th 2012 Sarah Hamilton, PhD Candidate at the University of Michigan and author of one of the articles of Entremons, gave a conference on the Albufera de Valencia from an environmental history perspective. The main intention of her presentation was to show how this region was influenced by global phenomena such as economic developmentalism typified in Spain by great turistic projects, agricultural policy, and ecologism. Hamilton offered a look on global trends through a local lense, showing a series of interesting examples that justify a global focus on local issues. 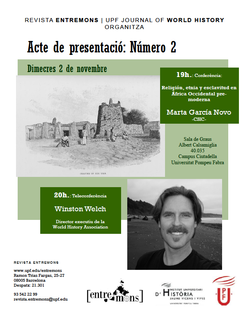 On november 2nd 2011 Entremons: UPF Journal of World History held its first conference of this academic year featuring its second issue presentation. The event featured a presentation by Dr. Marta García Novo about her article "Islamic law and slavery in premodern West Africa". Following the presentation, we held a teleconference with Winston Welch, excecutive director of the World History Association. The event was held in Albert Calsamiglia Hall (Roger de Llúria building) at UPF Ciutadella Campus, from 19 to 21hrs.